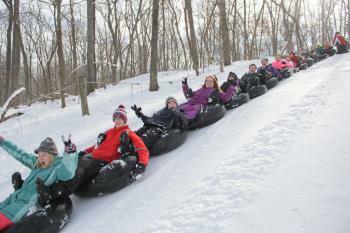 Specifically for youth, this is a time to kick back with your camp friends while you have bonfires, participate in worship and Bible study, compete in weird and crazy games, and sled down the tubing hill. $0.00 Church Pays Part of Camp Fees Some churches agree to pay some or all of the camp fees for kids in their congregations. If your church has agreed to pay part of your camp fee, choose the name of the church below and change the dollar amount in the box provided to reflect what your church will pay.